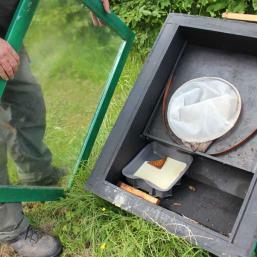 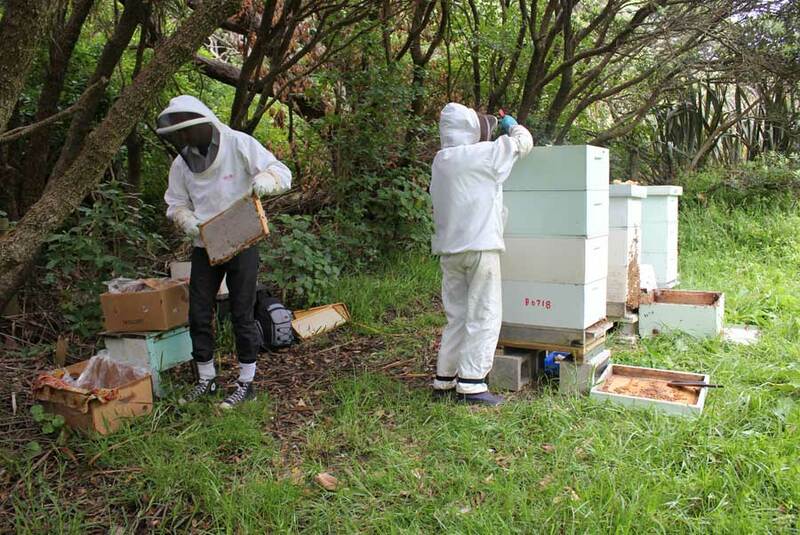 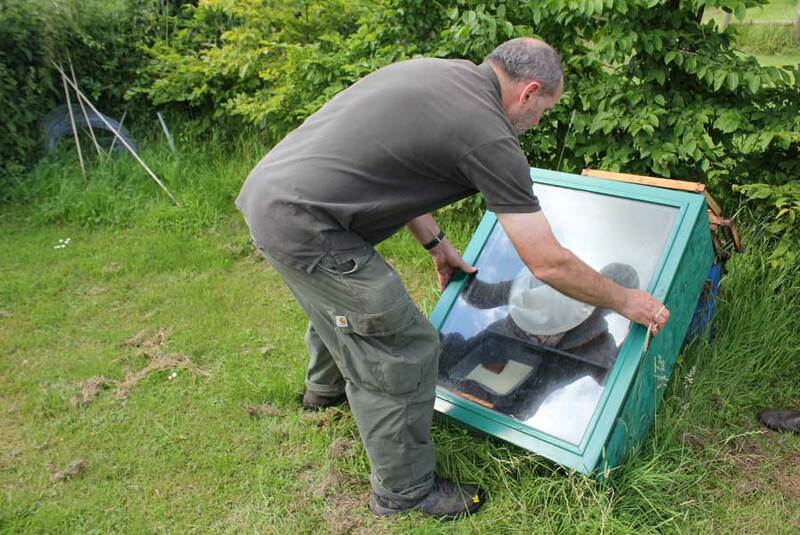 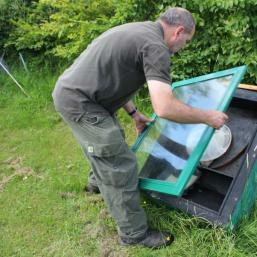 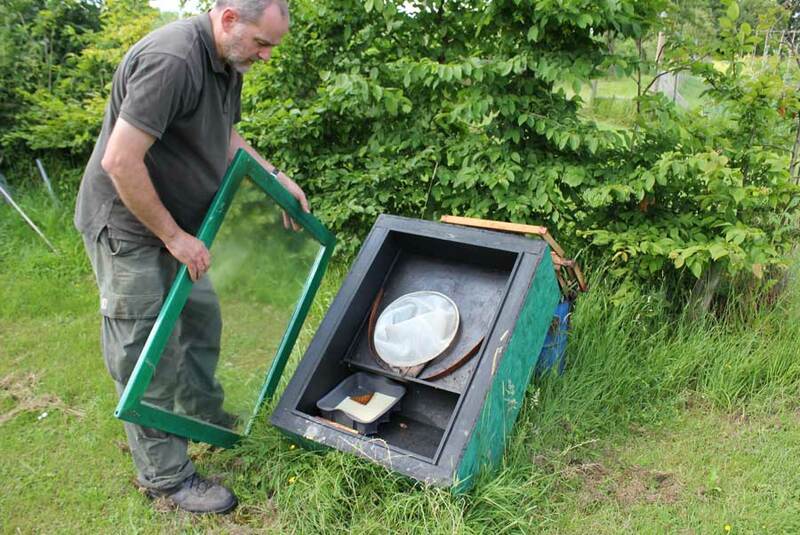 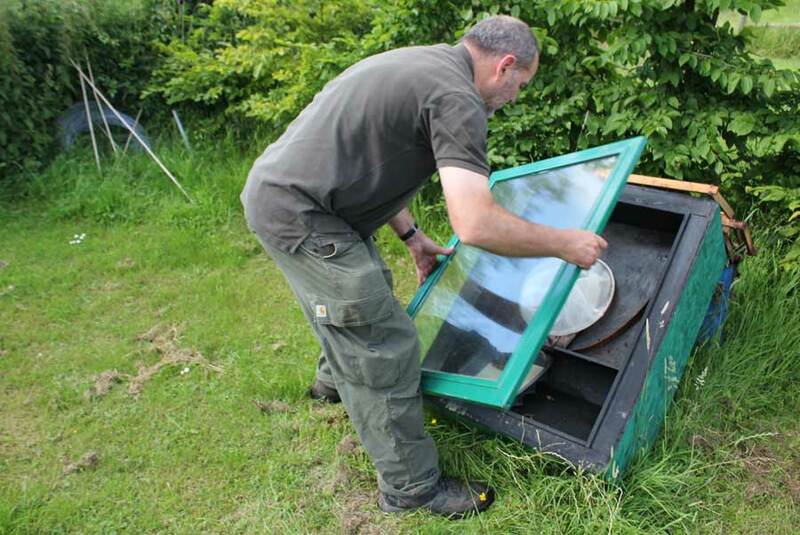 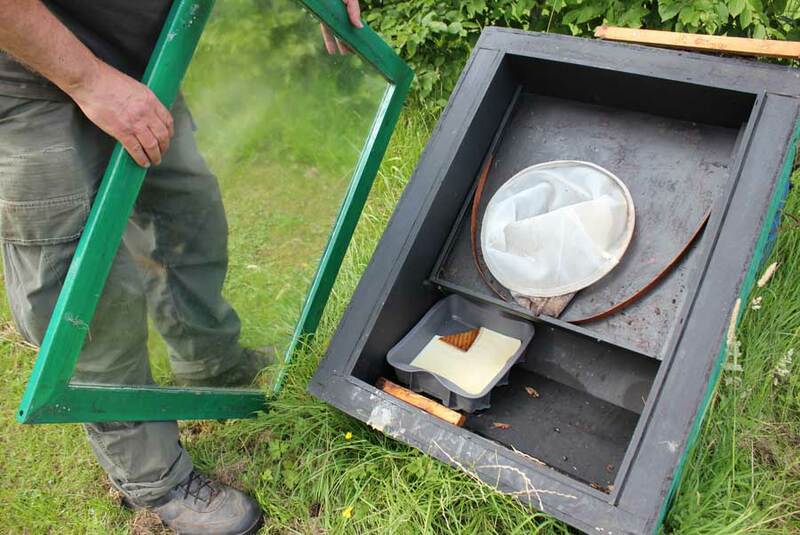 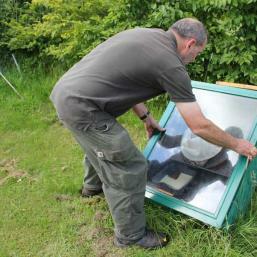 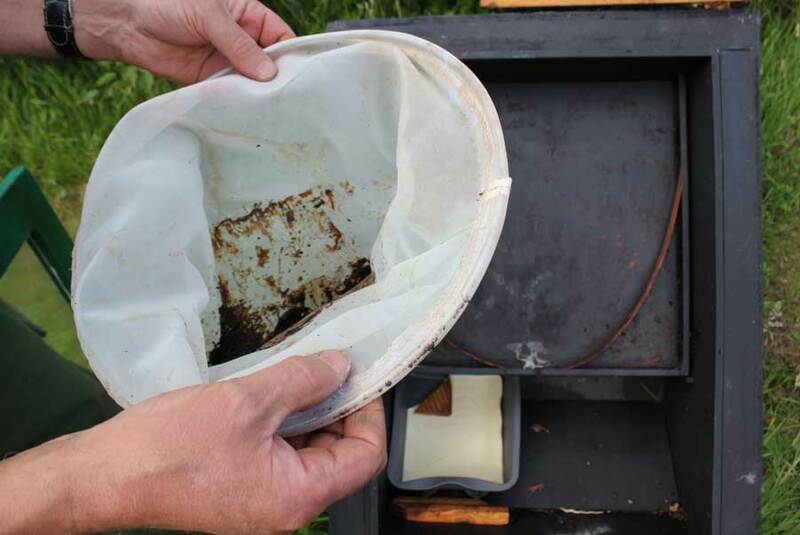 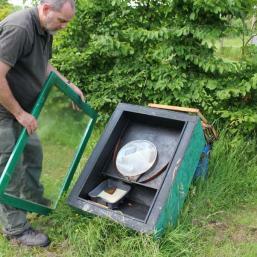 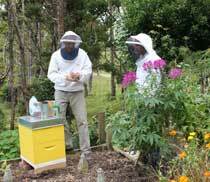 Most beekeepers look after hives for the harvest of honey that comes during the summer months. 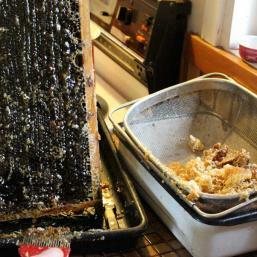 Honey is a great reward for the maintenance and care that goes into keeping a hive of bees healthy and in good order. 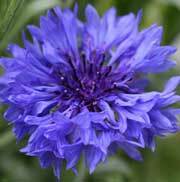 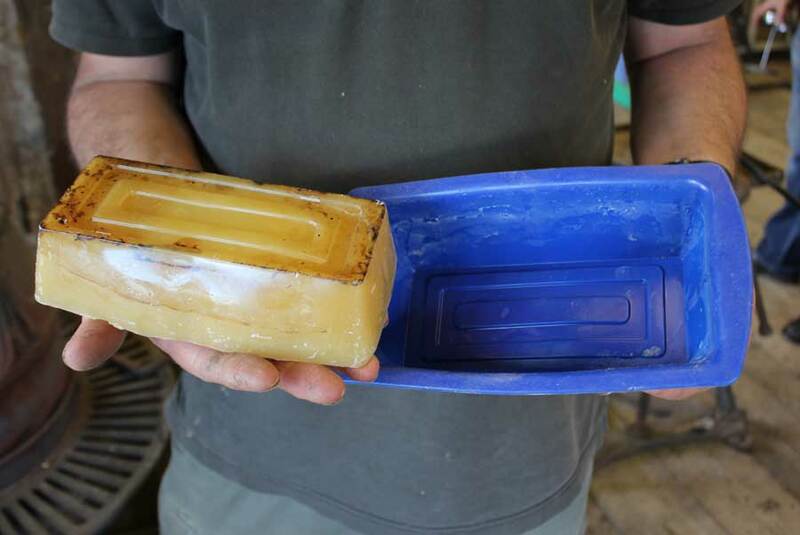 Honey is of course not the only benefit for those of us who keep bees, beeswax is a very useful by-product as is pollen for those who collect it. 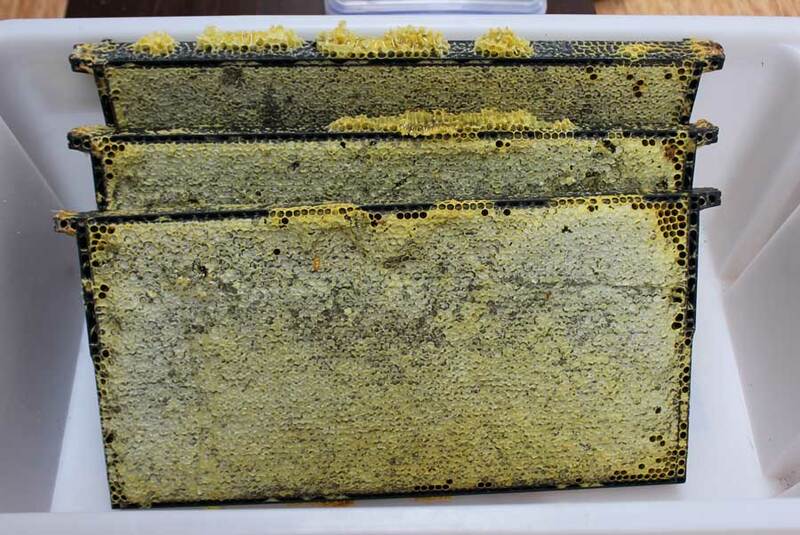 Honey is normally taken from Langstroth hives once the frames in the honey super (upper box or boxes) start to become entirely filled with capped cells of honey. 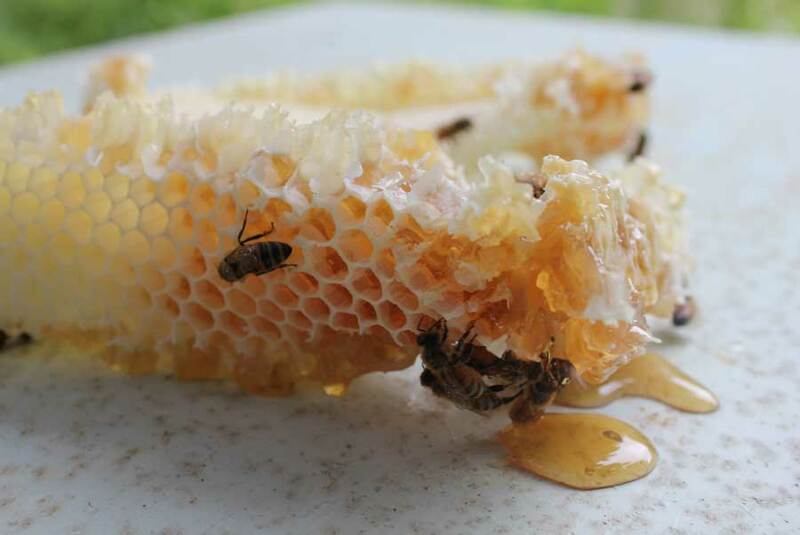 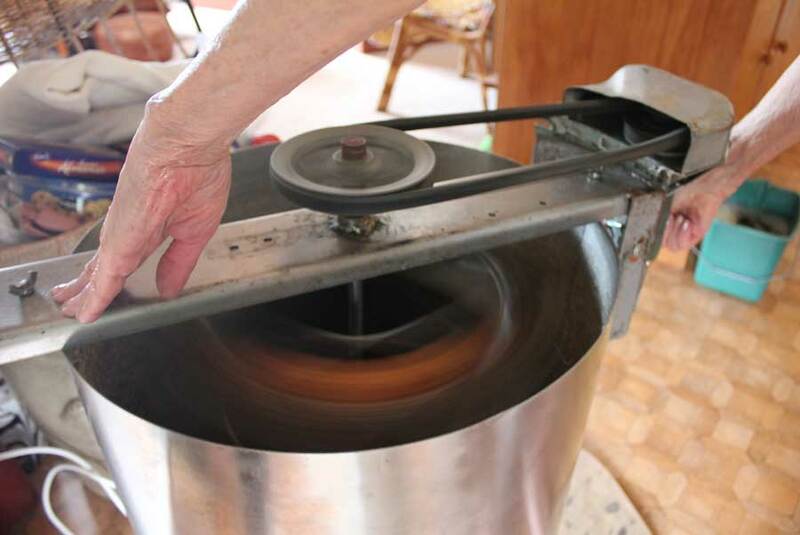 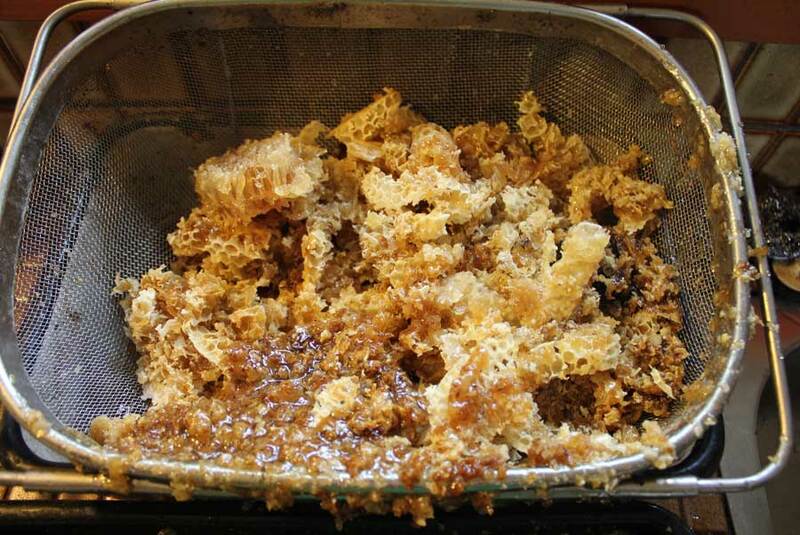 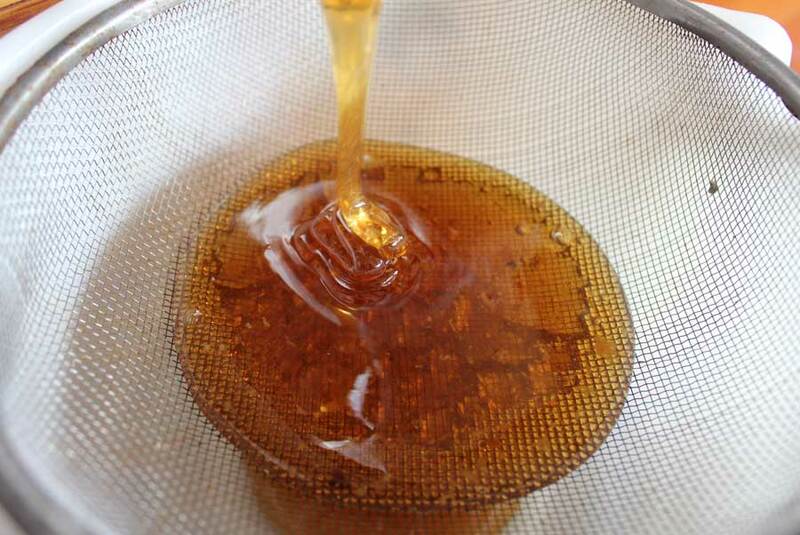 Frames are removed and honey is taken from them either by their being spun in a centrifuge (usual practice for wooden frames) or by the comb being scraped off plastic frames and sieved or spun in special baskets in a centrifuge. 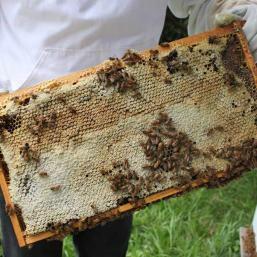 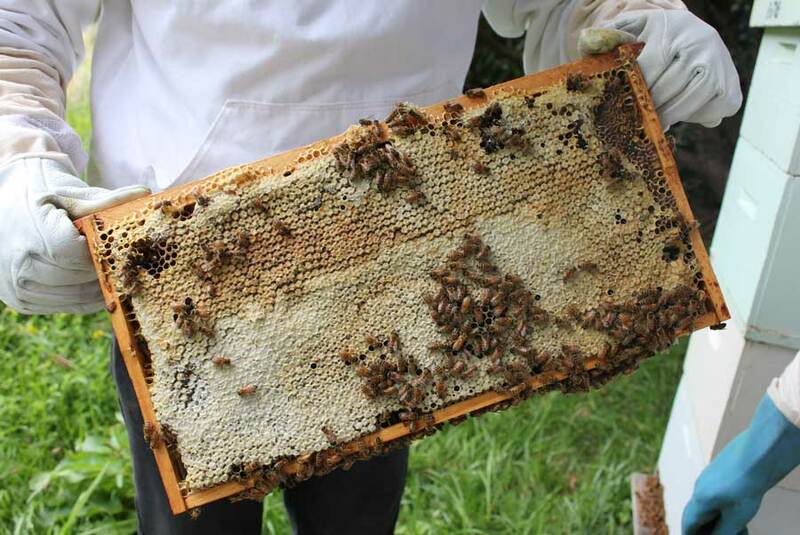 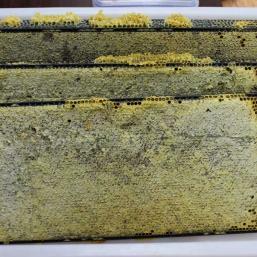 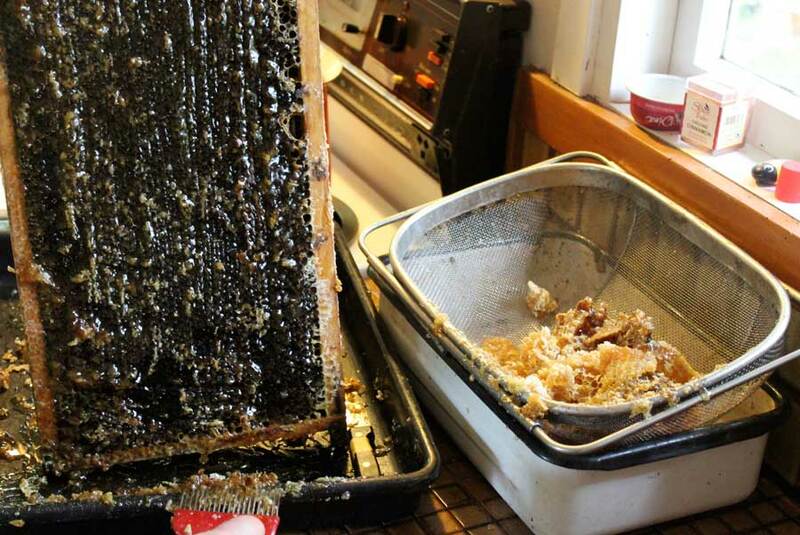 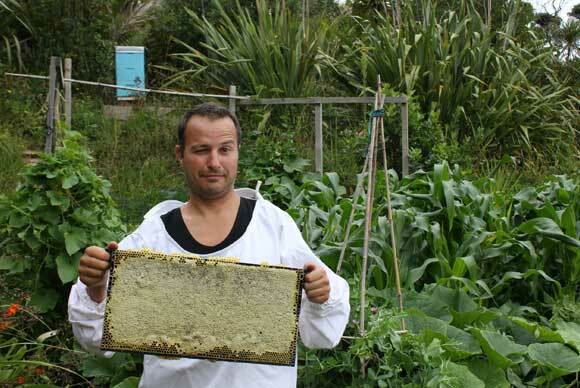 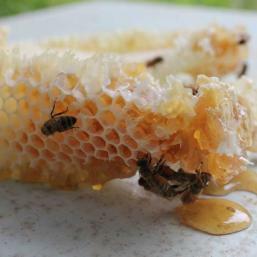 This second method is often used on comb from Top bar and Warre hives. 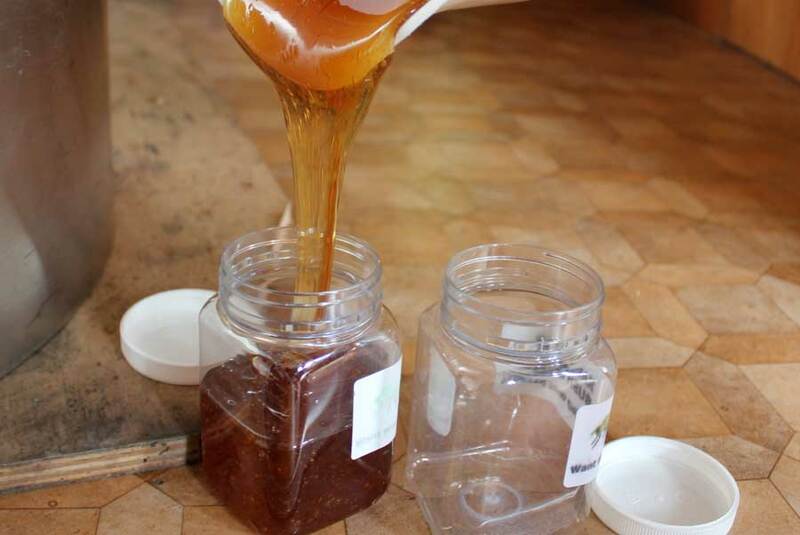 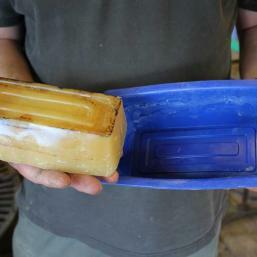 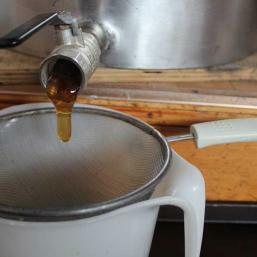 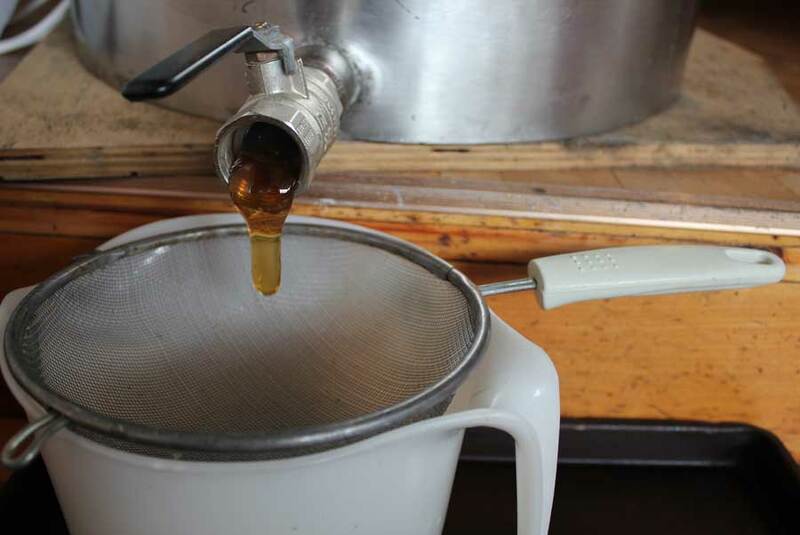 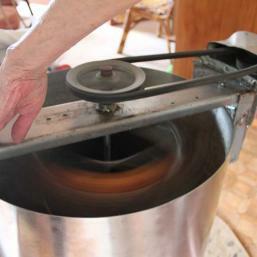 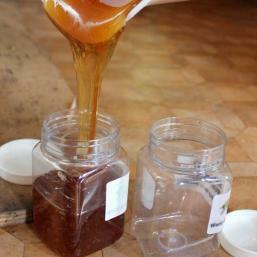 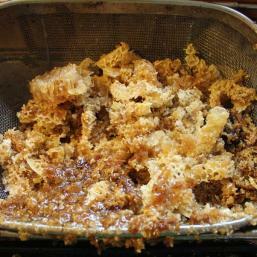 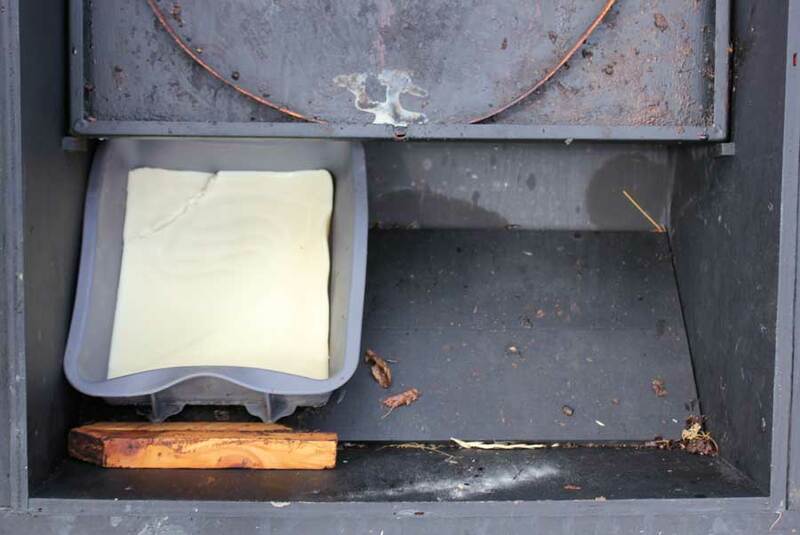 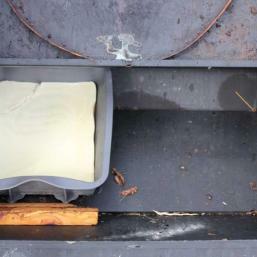 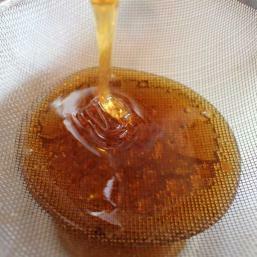 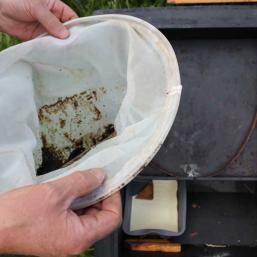 The left over beeswax can be collected and melted to make candles, polish, soaps and balms.